You have been working diligently to optimize and protect your mission-critical data. At the same time, you are facing increasing challenges with unstructured data, things like files, videos and images. Nearly 90% will not be touched soon after it is created*. In addition, "according to Forrester survey data, storage budgets have increased from 10% of the IT hardware budget in 2007 to 17% of the IT hardware budget in 2009*". As a result of this scenario, we know that there are opportunities to help you find answers to your challenges around data growth, access and management. Whether large or small, organizations like yours come to Dell because they’re looking for an open, capable and affordable way to manage their digital assets. They use our next generation virtualized EqualLogic SAN storage with built-in automation and intelligence and a seamless scale-out architecture, cost-effective and capable PowerVault products and flexible Dell|EMC storage arrays with powerful, advanced data management features as foundational platforms for optimizing the storage of their performance, business-critical application data. And with our new data management solutions, including our recent acquisition of Ocarina Networks and their breakthrough, unparalleled content-aware deduplication and compression technology to our storage portfolio, organizations, big and small, have found that our philosophy helps them manage data growth, keep data accessible and minimize risk with their unstructured data as well. They’ve discovered Dell can help them transform their information into an asset — not a burden. To keep up with the explosive growth of your digital assets, you need to future-proof your data strategy. This means making smart, strategic decisions about where and how you store these assets—and ensuring that you are doing so in an affordable, sustainable way. Using Dell’s data management strategy you can remove the uncertainty and ambiguity that keep you from making these decisions — without locking yourself into a costly, inflexible strategy that won’t fit your long-term business needs. Reduce complexity: By adopting our modular approach and automated, rules-based movement and retention capabilities, you can meet your expanding storage needs without overwhelming your infrastructure or driving up costs. End the “refresh or renew” paralysis: Because the modular design makes it possible for you to purchase storage on demand, you’ll gain control over your capital and be able to make more confident decisions about your infrastructure. Align the relative business value of your data with the appropriate storage cost: When you choose Dell’s solutions and services, you’ll get a clear picture of all your data—where it’s coming from, what it is, and how it’s being used by your business units—so you can implement consistent storage and retention policies without sacrificing flexibility and extract value from your data. With Dell’s broad array of products and services, you can design and implement smart, policy-driven processes that classify and prioritize data based on the value to your business. Through our Services Engagement Model, four Dell Services Storage Consulting Services team can work with you to explore how to simplify and optimize your storage and backup infrastructure. We’ll help you determine key challenges and connect storage and backup requirements to your business needs. And we’ll help you simplify administration, improve performance and reduce costs. Data deduplication with compression is one technology that can help you optimize your storage and more intelligently manage your growing data – with less. Ocarina Networks provides a new standard in storage optimization with their unique, powerful content-aware deduplication and compression software. This technology is designed to enable our customers to dramatically reduce storage space requirements, even as their data grows, and cut data management costs. You can learn more about this announcement and technology at the links below. Object storage allows the attachment of metadata, which is additional identifying information, to unstructured data. It utilizes an enormous, flat address space for this content, removing some of the limitations and complexity of managing this data on traditional systems. Dell believes that the benefits of object storage will lead to widespread adoption of this technology for fixed digital content. The Dell DX Object Storage Platform is designed to access, store and distribute up to billions of files or other digital content, from archiving all the way to the cloud. It uses an elegant, self-managing, future ready and cost-effective peer-scaling architecture that is based on Dell’s award-winning x86 standards-based rack server platforms. The platform is optimized for storage and includes fully integrated software for a complete end-to-end solution. A basic configuration consists of a DX Cluster Services Node and two DX Storage Nodes, either with 12 or 4 hard drives per storage node. You can start as small as 2TB of raw capacity and add additional DX Cluster Services Nodes and either type of DX Storage Node to increase capacity, throughput and access, including replication between other clusters. Dell is building solutions to address horizontal and vertical markets, like healthcare, email and file archiving, cloud storage, eDiscovery and enterprise content management. As part of this solution development, Dell is developing an ecosystem of independent software vendors (ISVs) that can leverage DX Object Storage. Additional information about how interested ISVs can become a part of this rapidly expanding ecosystem can be found at www.dell.com/isv. Information is only as valuable as it is accessible—but keeping data readily available to meet compliance, governance and business intelligence requirements can be cumbersome and expensive. With DX Object Storage, you can finally end the trade-off between cost and accessibility while simplifying your data management and expanding capacity. Because the solution is object-based and metadata aware disk storage, you are able to identify and retrieve information quickly and automatically manage data from creation through deletion. As an example, The University of Utrecht in the Netherlands works to foster innovative research that contributes to economic development and the solution of social issues such as climate change, infectious diseases, the ageing population and public health. “With the integrated software and hardware, our DellTM DX Object Storage Platform makes it simple for researchers to access the information they need among many terabytes of data. In the future, our researchers will use the metadata associated with stored content to quickly understand the context of how data was created, even many years after the original experiments” said Bas van Breukelen, Assistant Professor,Biomolecular Mass Spectrometry and Proteomics. Dell can work collaboratively with you to determine a blueprint that will fit within your limitations, but ultimately help you meet your goals for managing unstructured data without adding unnecessary cost or complexity through well-defined Dell Consulting Services engagements designed to deliver predictable outcomes on defined timelines. The PowerVault NX3100 is a capacity-dense, dedicated NAS solution integrated with advanced file-sharing software designed to help smaller offices stay efficient and productive. It’s also flexible enough to support applications (block data) to make sure people with limited resources save time and don’t have to manage separate types of storage. You can eliminate the frustrations of backup and feel confident that your organization’s most valuable asset, your data, is protected and available by deploying established disk-based backup with integrated deduplication from Dell, EMC and Data Domain. 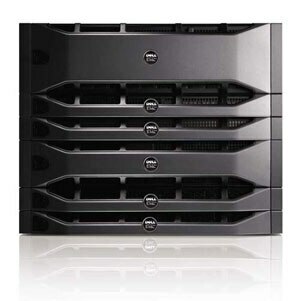 Disk backup with deduplication can help ensure that you are prepared for challenges associated with protecting your growing volumes of data, including your need to centralize data protection through replication, your requirement to reduce organizational impact from primary data loss and your need to control the costs of managing data protection. Learn more about the DD140, DD610 and DD630. , to help customers store, protect and archive data. The PowerVault DL Appliance powered by CommVault Simpana 8.0 features block-level deduplication and the PowerVault DL Appliance powered by Symantec Backup Exec 2010 provides both target and source deduplication options. 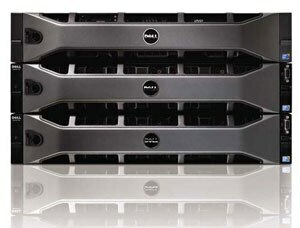 Dell’s partnership with both Symantec and CommVault, is an example of how Dell is actively pushing deduplication technology into our products and with our partners to help you optimize your storage.